Soon I was whizzing along the Independence Avenue zig zagging past throngs of vehicles. 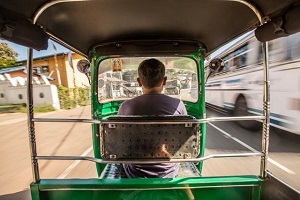 I had a rough route in mind and my tuk-tuk driver was an easygoing chap. We turned off at the junction and our first stop was the Independence Square. The sun was bidding adieu to the day casting a golden glow on the city. Flanked by elegant lions, the Independence Square is one of those places where memories of the country remain enshrined for all time, in monuments of stately beauty. 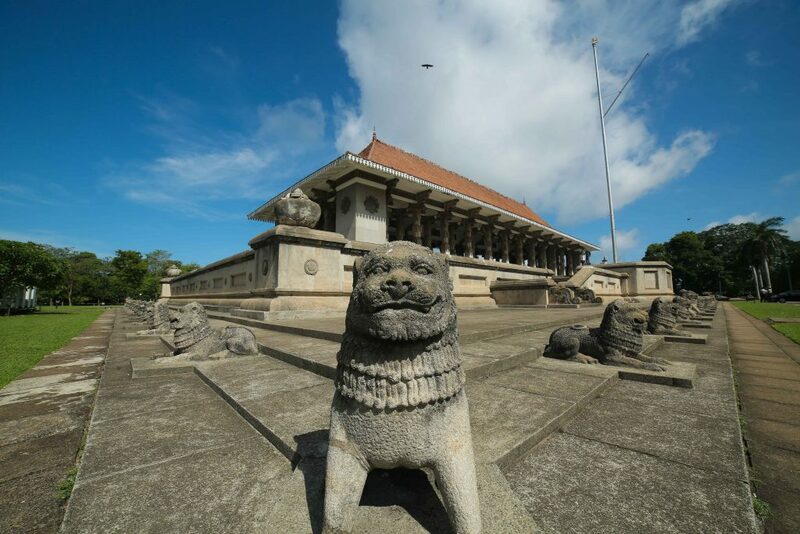 The Independence Memorial Hall is built in the centre of the premises, marking the site where the island gained independence from British colonisers years ago. Like a lost child, I wandered into the lush greens of the Independence Square and sat awhile to indulge in this oasis of serenity in the heart of Colombo. Here’s the pro tip: if you ever want to spend some time away from the hubbub of the city, just head to the Independence Square, you’d be surprised. Happy teenagers were racing each other with glee, making me want to dust off my own cycling gear and pedal by the lanes; maybe next time though, because this was supposed to be my tuk-tuk adventure. So I motioned my tuk-tuk to pick me up and was back on the road. We tuk-tukked along the bustling streets and stopped at the Gangaramaya Temple, which was my next stop. As I entered the temple grounds, a blanket of tranquility spread over me, which seemed to foretell the peace and serenity I would find within the premises. The architecture of the temple represents the old and the new along with East Asian influence. I walked towards the museum of the temple, where amidst shelf upon shelf of intricate statues, dazzling tiny ornaments and beautiful marble work, for one bewildering second I felt like Aladdin on his quest to find the magic lamp. There are objects d’art to feast the eyes on from the floor to ceiling! I walked out of the temple and towards the Seema Malakaya, which belongs to the Gangaramaya but is located across the road, on the Beira Lake. It’s the kind of place that draws you in, and once inside, it’s hard to leave. The hustle and bustle of the outside world grinds to a halt. Unwillingly, I decided to hit the road again and head to my next location- Pettah. If you ever enjoy being jolted out of yourself even for a few minutes, Pettah may just do that for you. I hopped off the tuk-tuk and made my way to Pettah market. The closer I came to the thriving trading areas, the thicker the traffic and the number of people walking on the streets. It is an area of sensory-overload. You must walk along its streets to realise the amount of activity that goes on, which is far more than any other area on the island. Half way through the street, I was overwhelmed by a crazy range of noises, aromas and continuous movement. From groceries to fabrics, spices to cooking utensils and sweets to toys, Pettah has anything and everything. Amidst all of its clutter, there is a sense of meticulous space allocation. Products are clustered into various areas within the small lanes that stem from the Main Street. I was stunned to catch a glimpse of a mosque with candy-striped pillars in the midst of this economic nerve centre of the island. 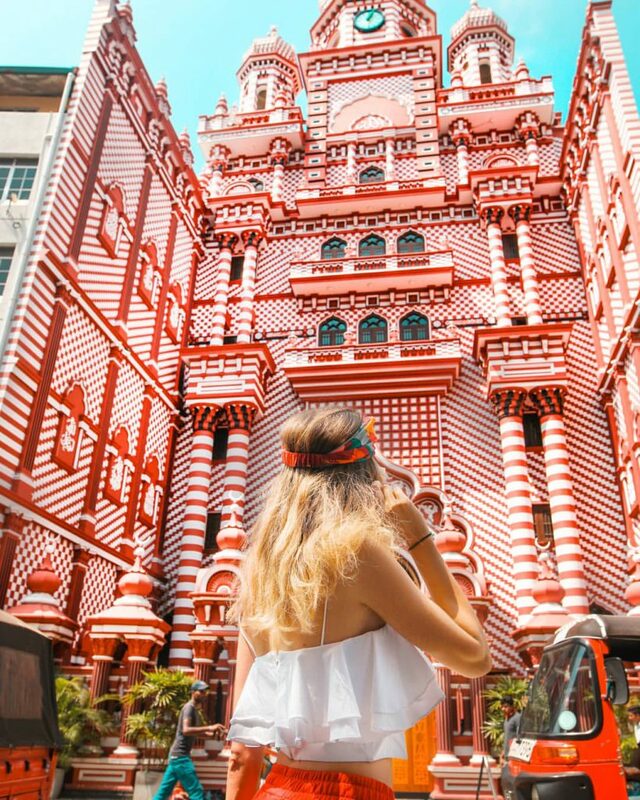 Locally known as the Red Mosque, this eye-popping building was built in 1908. Architects claim the Red Mosque aka Jamiul Alfar Masjid to be reminiscent of the Jamek Masjid in Kuala Lumpur, Malaysia. Being an avid Instagrammer, I did not forget to stop by to take a quick selfie to spice up my Insta feed. Tired yet satisfied, I left the vibrancy of Pettah. 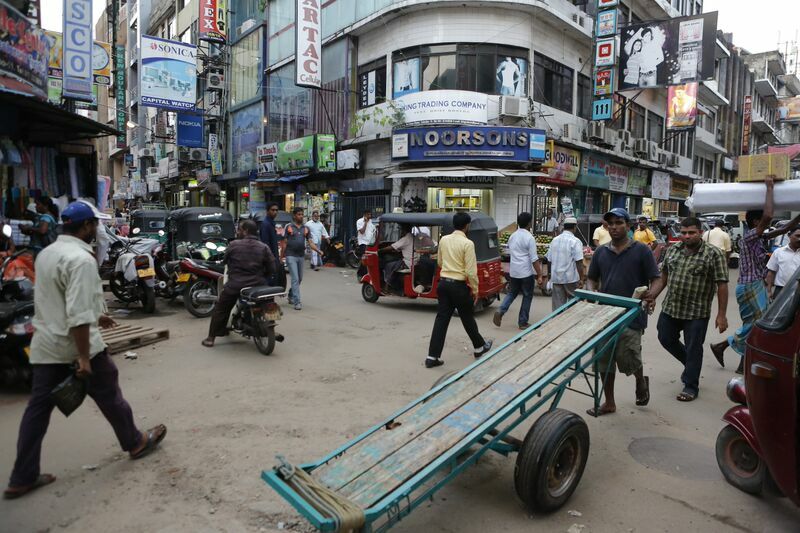 If you wish to walk the streets of Pettah, make sure that you are guided by a local. As mentioned it’s a maze of streets, and it’s not easy to crisscross these streets, unless you are familiar with the local neighbourhood. 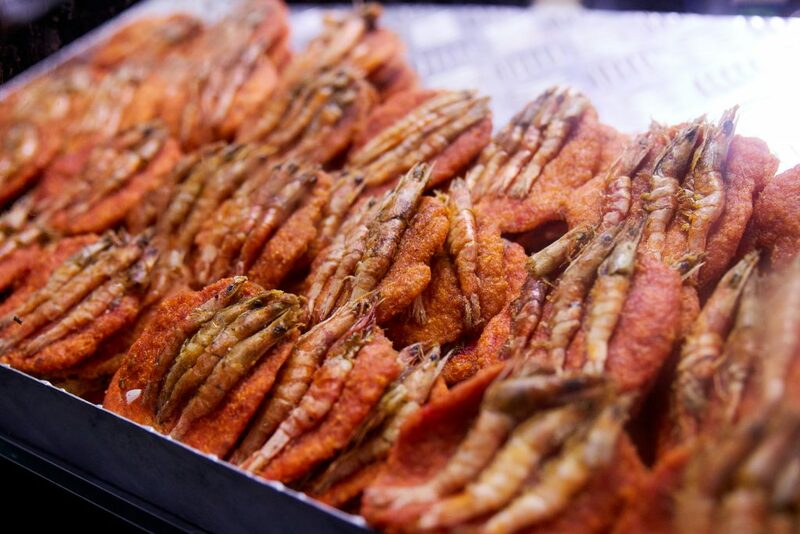 The grand finale of my tuk-tuk ride around Colombo was the Galle Face Green because crazy as I was, I still wanted to grab some isso vadei – prawns deep fried on a crispy batter. Trust me, even the fine dining aficionados will be tempted to take a quick bite of this island favourite. Isso vadei is a salty treat! As the evening drew to an end, the city was illuminated with street lights and was as busy as ever. With a paper bag full of crunchy isso vadei from the Galle Face Green, I hopped back into the tuk-tuk and headed home as happy as a pig in mud. 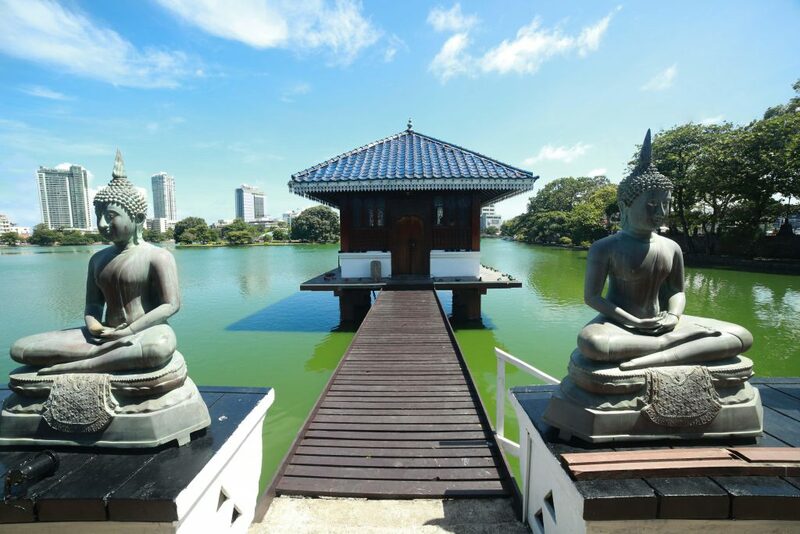 Insider tip – Interested in checking out more experiences in Colombo, get in touch with us on enquiries@reddottours.com; we’ve got just the experience for you.